Conscious Consumer "brilliant response to current lacking in corporate political funding transparencies. If corporations are gonna b political, so will I…. 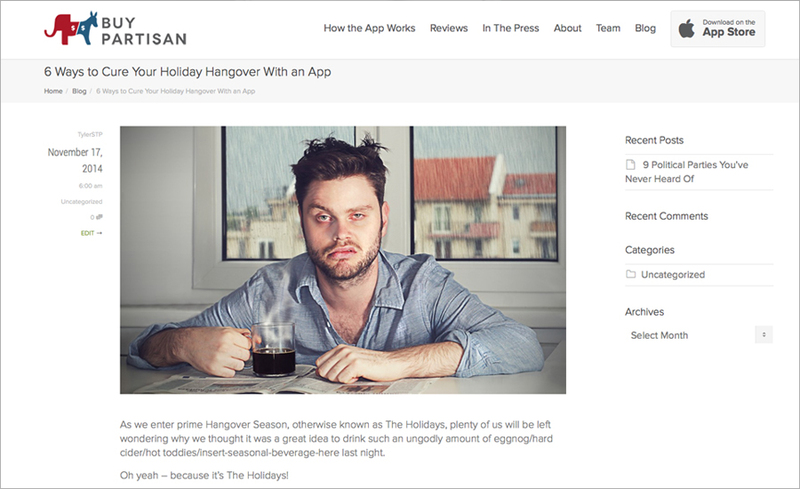 :D"
Read about this app in a Washington Post op-ed and had to try it. Addictive! Great app. Very interesting to know more background about each company. Special thanks to my buddy Stephen Colbert for recommending it..sorta. Killer App “Downloaded this tonight and immediately put it to good use at the grocery store. Was able to make some cool choices on what to buy based on aligning my values. It really works! Extremely empowering. Cool tech. Very Useful "I’m glad that now I can “vote” with my purchasing decisions!" I support all efforts to increase marketing awareness. @BuyPartisan just used your app in the grocery store. Got a tell you, put a lot of things back on the shelf. I vote with my wallet. Being able to scan any product in the grocery store and find out the parent company as well as the political affiliations/donations of the company and its leadership is a great use of technology. I use this app a lot and will continue to do so. This is exactly what the current market needs: access to straightforward information about companies. This app gives us a defense again corporate America. @sanees717 @BuyPartisan @FastCompany Brilliant. Just brilliant. Allows you to put your money where your mouth is. @BuyPartisan: I love your new app! Great for people to know how much companies are donating to each political party! This is a great app that allows to me know exactly what I’m buying. It has allowed me as a consumer to feel more empowered through my purchasing decisions...Bravo! It’s great to see where all the money is going. It makes me think twice before I buy anything. This will change the way I shop and spend money. A possible game changer. Talk about being able to vote with your wallet! This is going to have an impact! I had a lot of fun going around my room scanning products and was amazed by how much the app picked up. I like the idea of consciously buying my products. The limitless definition of #transparency never seeks to amaze me. 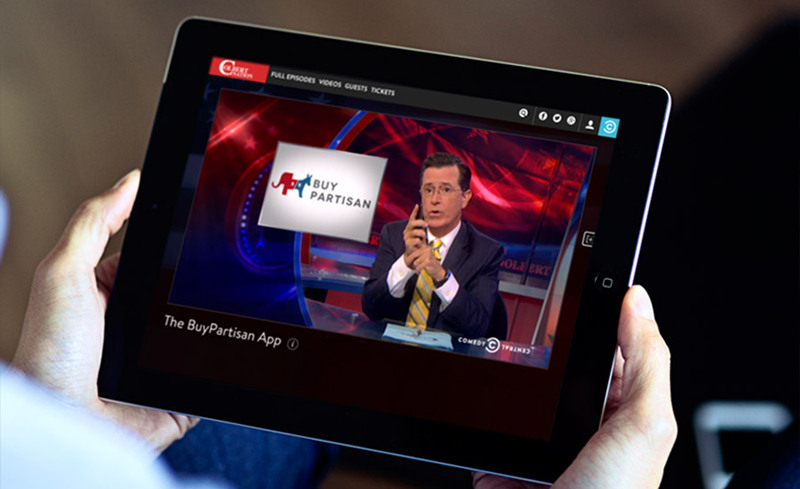 I just downloaded @buypartisan and eager to check it out! Very Cool "Love it. Will use it so I don’t give money to an agenda I don’t agree with!" Great App "Just what I needed to see what to buy and what not to buy." Well done, Useful tool! 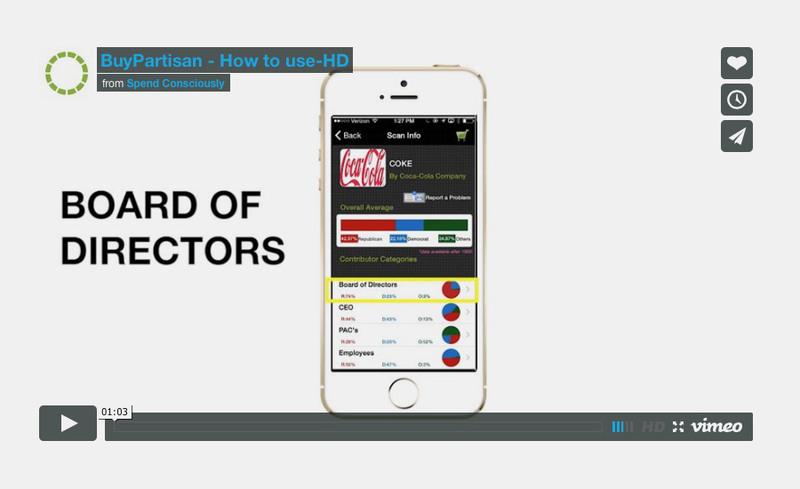 "this app provides additional, much needed transparency for our open market political process." What a genius app! Transparent information about political donations of corporations right in your pocket. We all vote with our money every day- this allows you to be informed about your purchase and support companies that align with your values. I wish I had heard about this earlier. It is still in Beta, but this will definitely enlighten me as I shop. If a product sways too much in the opposite direction of my political views, I will clearly skip the purchase. Whoever said the ‘lil guy can’t make a change?’ I can now! Thank you, great idea! I don’t normally write reviews for apps but I feel this one fills a pretty large gap in the App Store. It can be difficult to vote with you walle but this app makes it so easy. Already found a few items in the pantry who I don’t agree with politically! I will be looking for alternatives next time I go shopping. ...I work for some high profile polititcal campaigns and am very in tune to the importance of where my money goes so the idea itself is genius. The best part is that the app actually works! I expected little success in scanning products but it really has info for everything, down to a collectible chocolate tin I bought 10 years ago! @BuyPartisan love it. i've had a small 'no-buy list' for years but this makes it so much easier & saves time. how many products do you have? What an eye opener. App worked great. We had a blast walking around the grocery store scanning everything we bought- or thought about buying. It definitely changed our minds about several products we’ve been habitually buying. These small decisions add up to the culture we create for ourselves and our children. ...this kind of information is invaluable. I don’t have billions to give but I do have the ability to make my few dollars count every time I shop. This app is great! Awesome App "Great Idea! Works great! I love knowing who’s benefitting from my purchases." I think this just might be the app I love the most on my iPhone...We could change the world with this app if everyone downloaded it and voted with their pocketbooks!!! !